Think of the weekends you have nothing to do other than keeping your body at the rest. You are enjoying your favorite series lying comfortably at your couch and then suddenly your phone gets a notification that is placed not near to you but at a distance on a charging point. Standing up from this soothing position may equivalent rising up for a herculean task. Gosh not the cup of tea for you right now! How would you react if we say you can manage the notifications right from your PC? Not aware of how this works? Let us be your guiding force towards a handful of apps that help you control your Android device from a PC. Before we mention the list of apps let me present another way to control Android on PC. In case, you are a Windows user it is for you. To control Android from PC you can use a tool named “scrcpy”. It displays your phone screen on the PC and all that you need to do is to connect the USB and ADB (Android Debug Bridge). And the additional perk, no root required. “scrcpy” works on Windows, Mac, and Linux and thus you can download the same for any of the OS. The tool majorly focuses on high-quality performance, fast start-up, and low latency. Here are the steps to set up the same. Download the zip file from Github and once downloaded extract it. Set up ADB access on your machine. 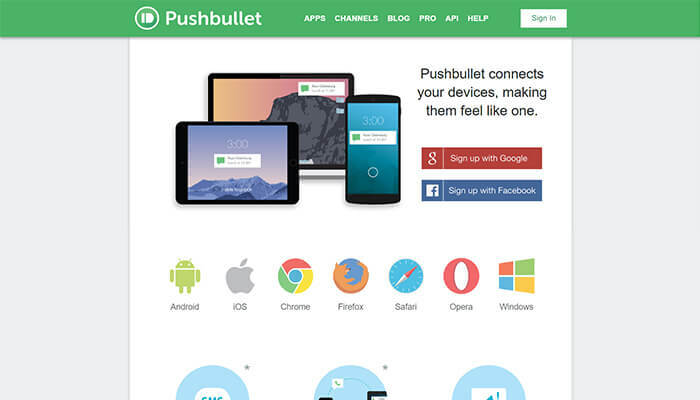 Pushbullet is an amazing application that allows you to synchronize multiple devices on your PC to manage and share the files. It has got additional support to manage a bit of WhatsApp also. You can easily send WhatsApp messages along with having the pop-up notifications on your device when a message arrives. The app has got some limitations including just 100 messages (SMS plus WhatsApp) every month. For accessing the services after a month you need to spend a fair amount of $4.99/month. 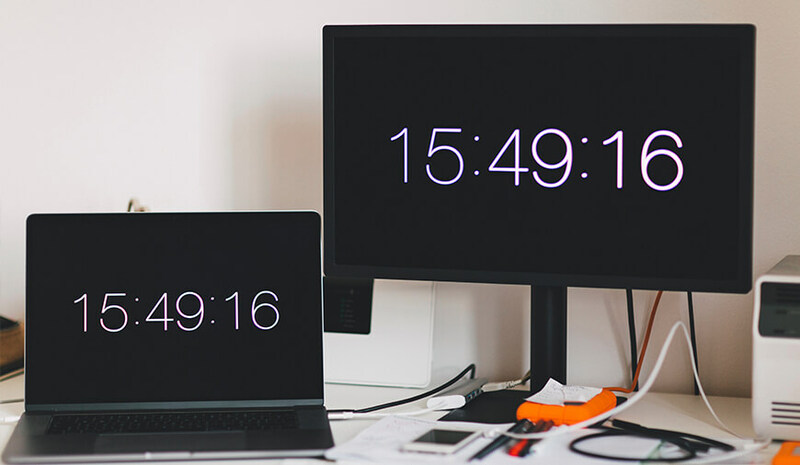 The app can delight the users with some additional features that allow them to control a variety of devices from the PC. 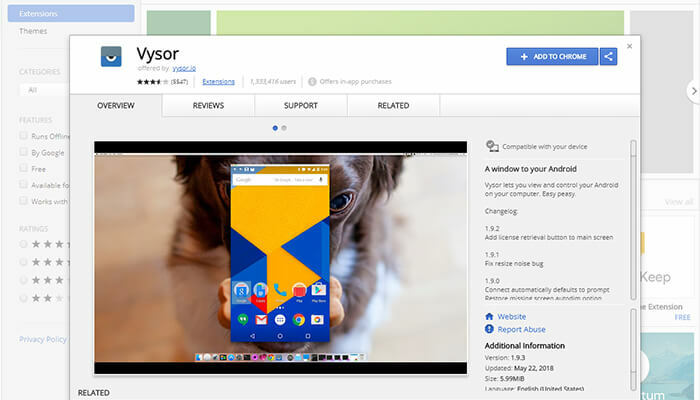 Vysor is another exceptional application that mirrors user’s Android smartphone to PC. 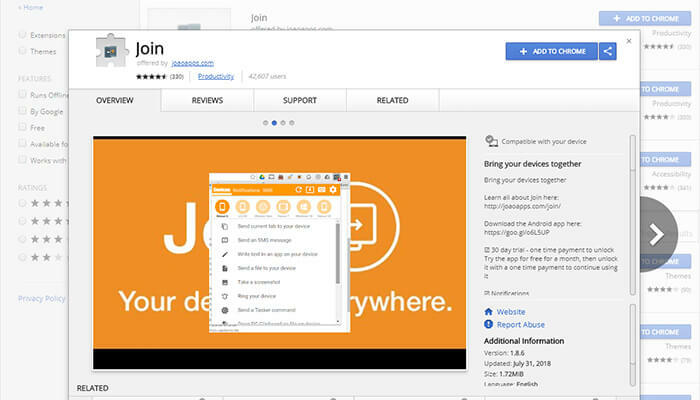 The app uses Chrome to sync the smartphone to user’s PC. It performs exceptionally well and that is the reason I have included the same in this list. The connection is quite fast and offers some amazing features to the users. As per the most interesting feature, a single Android device can be shared with multiple users. As per their requirements, users can either go for a free or a paid version. Unlike free version, the paid version offers a suite of features that are really awesome. With this app, users can check and respond to WhatsApp messages. Join is an ultimate application for you to enjoy the notification your phone receives and to read the same on your desktop. The Chrome app helps you pair your PC with the smartphone and continue doing everything you would like to do over your Android smartphone. The app is much lighter and thus it would not crush your system ever for memory issues. The app is great to read long articles and ping the same on your system if you are not able to finish the same article on a single day. The free and the paid app versions differ in the functionalities a bit. 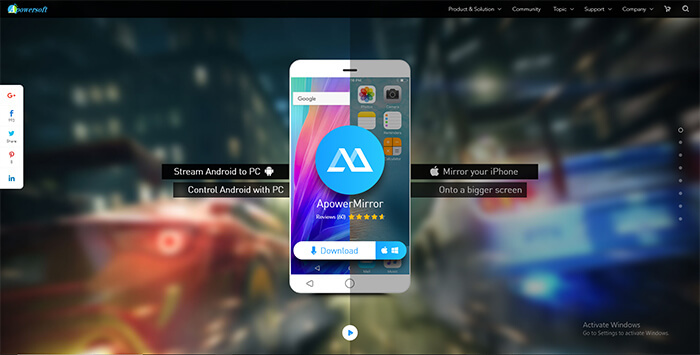 Well, this article is all about managing your Android device from the PC but it is worth notifying that ApowerMirror is also available for iOS users. Use this application in case you want to have the entire control of your Android smartphone. With this app, you could control all your smartphone’s features sitting relaxed on the couch having your PC there at your lap. ApowerMirror will also help you to get screenshots, record the screens from the phone and probably to do anything and everything. The great news is it works on every Android device, and the connection could easily be made through wifi or via USB. 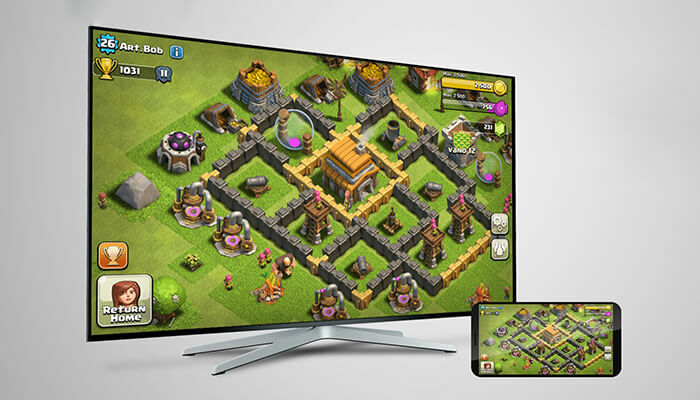 MirrorGo is one of the popular choices for those Android lovers who want to record games. The app is as exceptional as any other offering in this article. Just sync your Android device with PC through this application and mirror everything you wish to transfer to your system. The app is similar to any other offering in this write-up, and I would like to mention that it would charge you after the free trial ends. In case, buying the app is not the problem for you, get the app for your Android device. It offers exceptional features that make it even great to use the services. The app is a bit different from all the other offerings that I have jotted down here in this article. 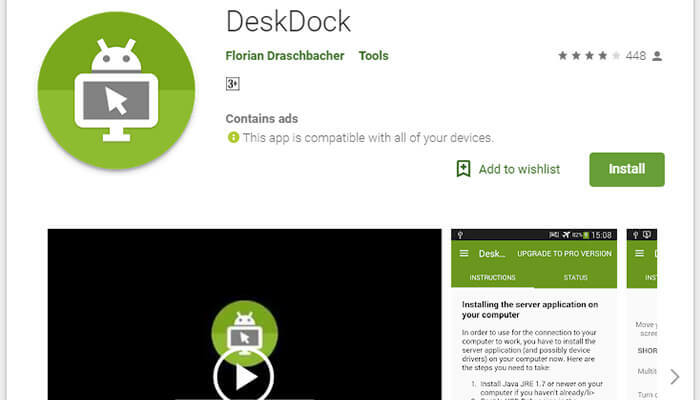 So, DeskDock not entirely mirrors your Android to the PC Instead it offers you another way to control Android on PC. The app is the best if you want to browse through the web along with quickly opening and closing the application. Just like any other offering mentioned over here, DeskDock can either be used as a free or as a premium model. After the initial usages, it will ask you to purchase the app for a nominal amount. This is all on the apps that you could sync with your Android device and later use PC to do the things you do on your Android device. All of the offerings that have been jotted down here will help you to manage your smartphone more easily with the help of your PC. Do try some of these applications and let us know your take on these offerings. Your preference for the application may change depending upon your workflow and the way you wish to use the application. Once you know which Android to PC service works exceptional for your requirement, you could download the same and may start using the app.